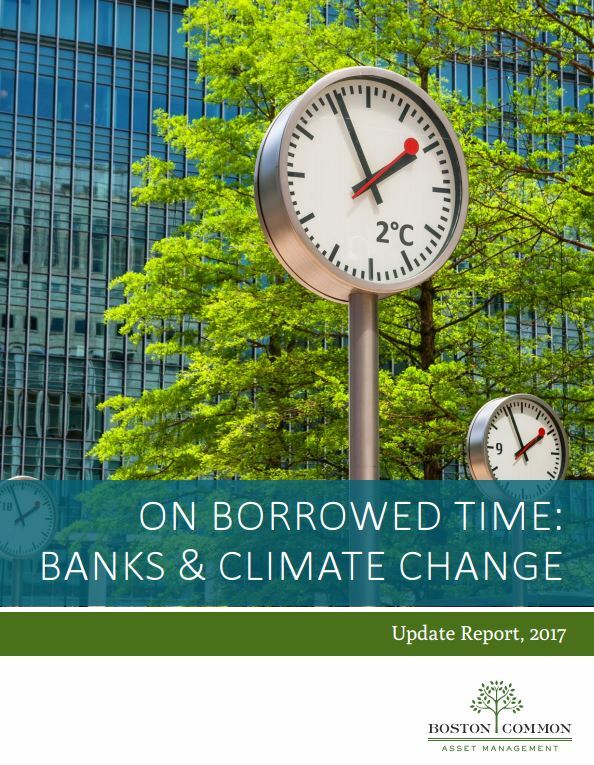 A new report examining 28 of the world’s largest banks on their management of climate-related risks concludes they are failing to align their business practices with targets to keep global temperature rises below two degrees. The investor assessment comes despite praising banks for introducing measures such as climate stress testing, carbon footprinting and governance for climate risk. Over 70% of responding banks now undertaking carbon footprints or environmental stress tests, including banks such as Citigroup. 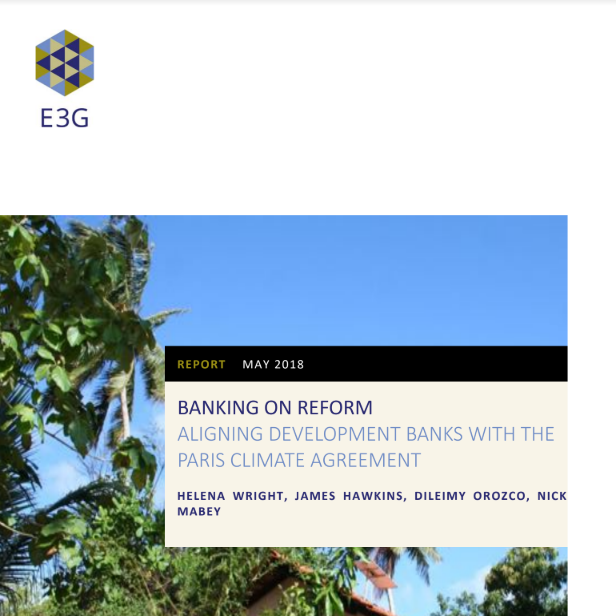 Over 85% of responding banks disclosed financing or investment in renewable energy. For example, National Australia Bank plans to invest AUD 18 billion over seven years in energy efficiency, renewable energy, and low-emissions transport. Over 80% have adopted more explicit oversight of climate risk at board level; and almost two-thirds have established performance goals. Some banks, such as Credit Suisse now revising their policies to restrict lending to the coal mining and thermal power generation sectors. Others such as Standard Chartered are developing additional assessment criteria on climate risk for energy sector clients aligned with the Paris 1.5 degrees climate scenario. Over 80% of responding banks are not yet integrating the results of environmental stress testing into their business decisions. Only 35% of banks disclosed goals for energy efficiency financing, and less than 40% have set targets for renewable energy financing. Only 50% of banks have explicitly linked climate-strategy goals to executive compensation. Boston Common is encouraged by the marked progress at many of the largest global banks in addressing climate change, and commend their willingness to hold in-depth discussions and advance the dialogue around climate risk. 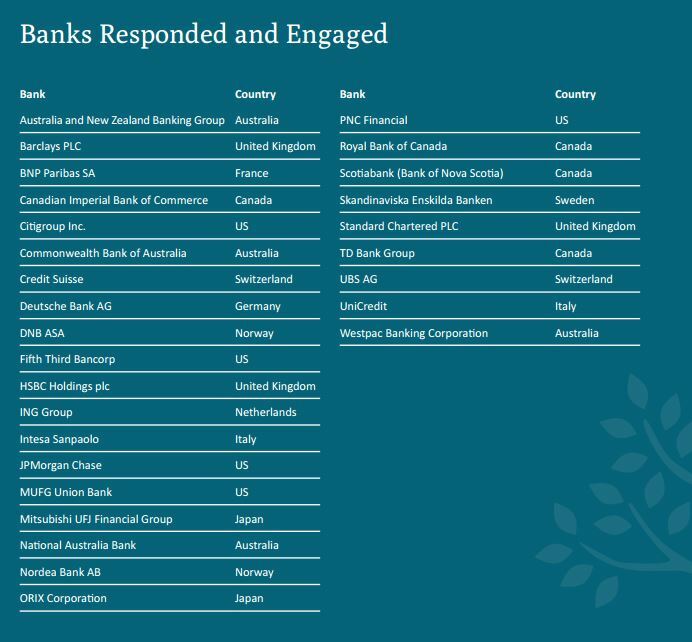 Notably, over 80% of the banks engaged have implemented substantive policy changes since the end of 2015 related to climate risk. 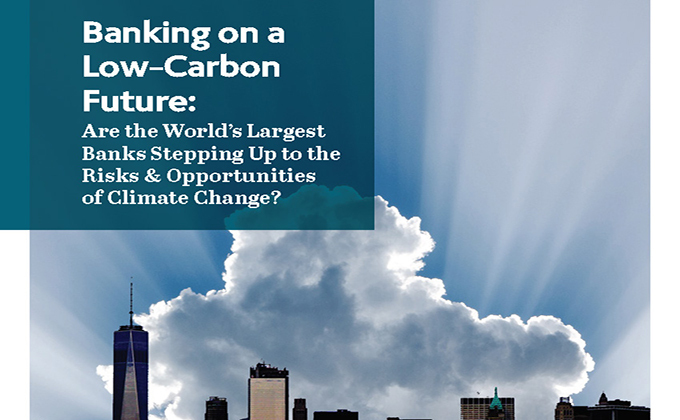 However the core conclusion that the banking sector as a whole is not doing enough to measure and manage the material risks from carbon intensive sectors is a major concern to investors. For example, bank lending and investment to carbon intensive sectors (e.g. coal mining, extreme oil such as Arctic drilling or LNG) continues to significantly outpace green financing. In the past three years, European and North American banks have financed $786 billion to some of the most carbon intensive sectors. 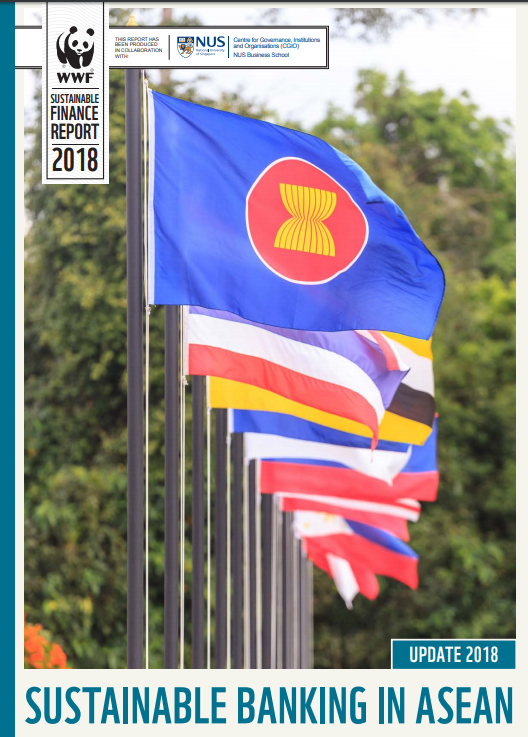 “From stress tests to strategy, bonuses to benchmarks, investors are very pleased to see the new tools, policies and programs that banks are adopting to manage climate risk. But there remains room for improvement and serious issues of integration that must be resolved. 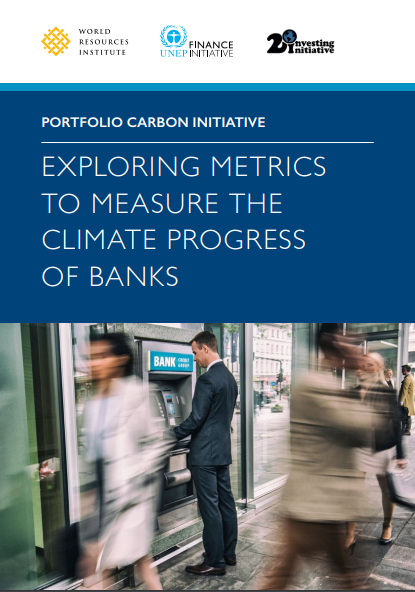 The investors behind this report call on banks to not only expand the use of tools to collect climate data – but most crucially to integrate this data into their decision making process. There is no point in having tools without putting them to effective use. Support industry collaborations (such as the Task Force on Climate-related Financial Disclosures) that increase the pace of change and use their public voice on climate action to encourage better government policy aligned with a below 2 degrees Celsius future. “The impact of the Paris Agreement is clear – climate change is rising up the agenda and several banks are trying to grasp opportunities in line with the world’s climate goals. SEB is one example, being one of ten banks and investors launching the Positive Impact Manifesto and representing 7.6 % of the global green bonds market. At the same time all banks are grappling with how to measure and manage risks. The questions we are raising during this engagement aim to make them dive deeper and review strategies and policies in order to contribute more to the urgent transition”.